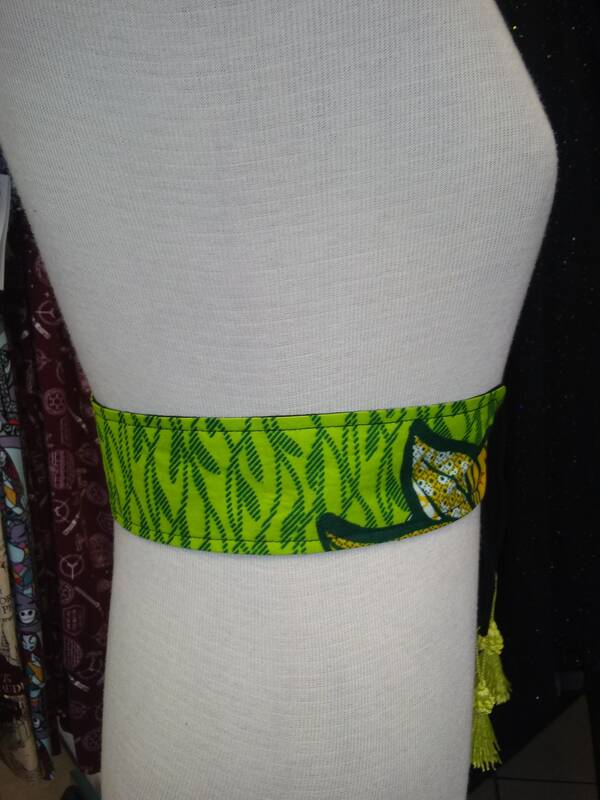 A stylish way to add some color to your wardrobe and accentuate your figure, this reversible belt features black linen and handmade ankara wax block cotton. Tie tassel front for an adjustable fit. African textiles sourced directly from Nigeria. 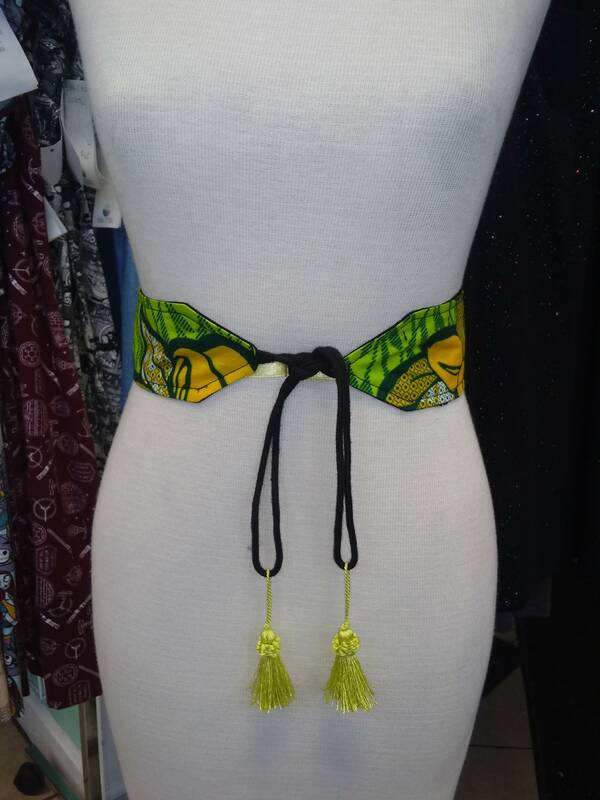 Tassel belt created for the Lagoon 2019 Collection, Accra Fashion Week in Ghana.